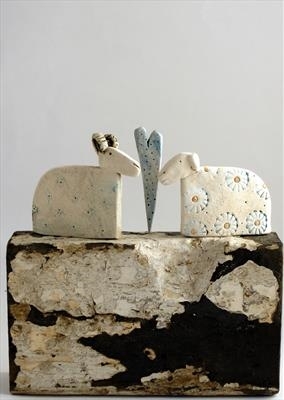 Hand built Mr and Mrs Sheep take in the view from the top of a piece of reclaimed time worn piece of timber taken from a cobble boat. The colouration reminiscent of the Yorkshire moors landscape. 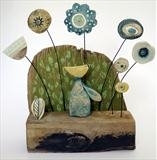 This is a free standing piece, stamped with makers name.